As commissioned for the Print Council of Australia (2004 commissioned prints). The PCA Print Archive commenced in 1967 when the first Print Commission process, then titled the Member Print, was held. From 1967 until 1990 one print from each commissioned edition has been archived. Since 1990 two prints have been archived. The PCA Print Archive now numbers in excess of 500 works including all commissioned and Presidential prints. The only curatorial intent determining the collection being the fostering of contemporary prints and print practice. 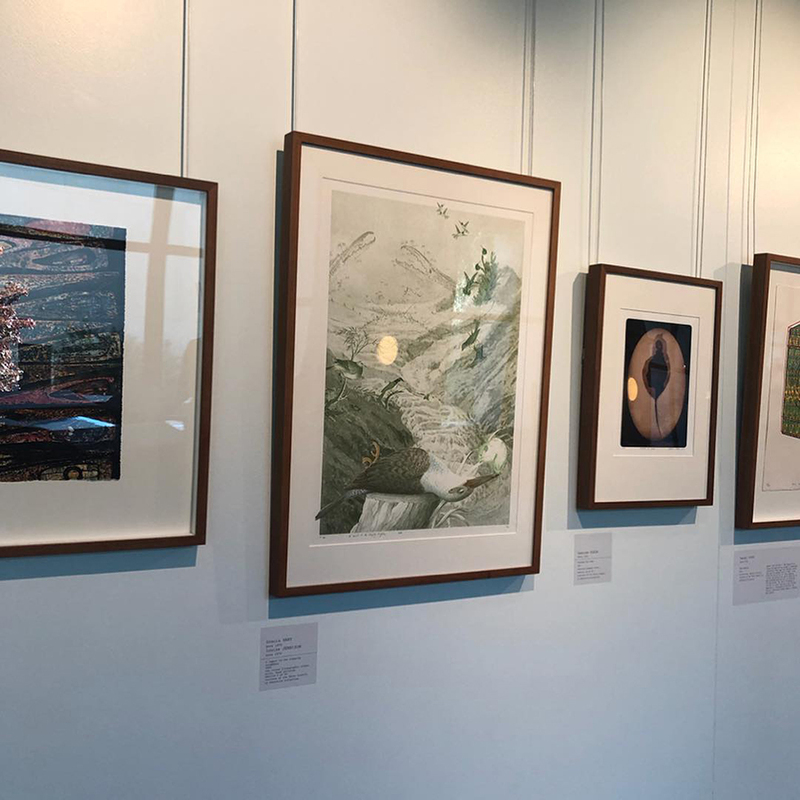 A lament to the sleeping kingfisher on display as part of Imprint: A Survey of the Print Council of Australia at Parliament House, Canberra, 2019. A postcard reworked with paint and collage, and made into print form.